This workshop will focus on the attributes that are needed to form a successful Safety Committee. It will also help explore what the Safety Committee will be responsible for to create and sustain a successful safety program. The objectives for this workshop include: 1. Develop a focus on transformational opportunities. 2. Teach the team how to accomplish a Transformational Pareto Analysis that identifies the significant few behavioral and variable leverage points for safety improvement. 3. Develop the committee's capability to focus, develop and prioritize action plans and effectively communicate status and success of efforts. 4. Help the committee to discovery-learn the most important items to focus on and develop ownership needed in a behavioral approach to safety. 5. 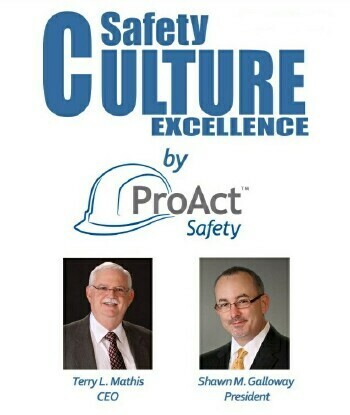 Create a culturally-shared perception that the site safety committee is successful and worthy of volunteer effort. 6. Create a successful committee that prompts other employees to seek out opportunities to become involved. 7. Create a sense of self-accountability among the team for what they need to do to create the desirable results. 8. Create a team capable of driving internally-led change that produces a significant reduction in incident rates and exposure to risk, but also increases shared-ownership for safety excellence.